We all know how obsessed is Karan Johar when it comes to all things creepy. Nah, don’t think much and stress your brain as we are talking about his craziness to wear creature themed coats, suits and what not. 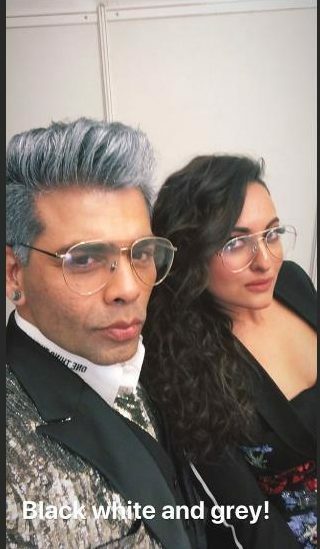 And guess what, we very recently bumped into a snap of Karan Johar straight from Lakme Fashion Week 2018 where he is seen in quite a different avatar. 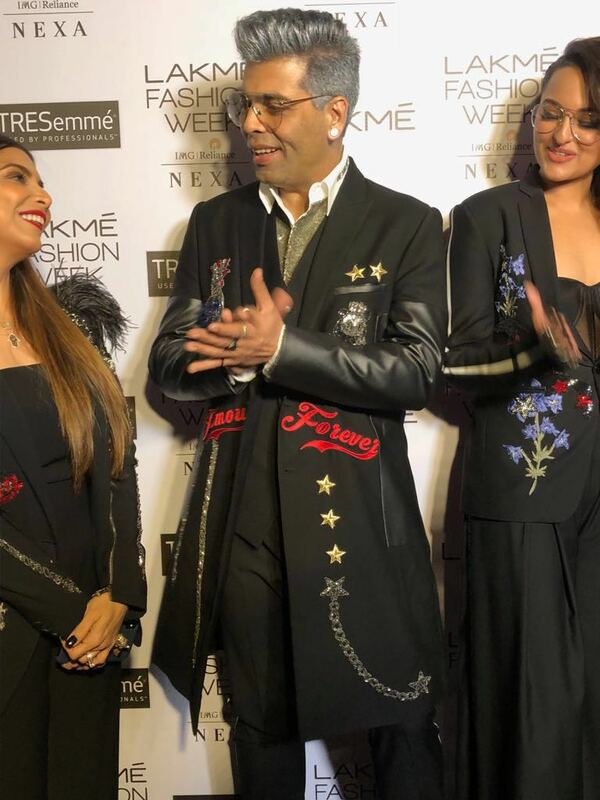 Talking about his look in detail, we see Karan wearing an all black ensemble where he has not missed on donning a long trench coat (his most essential clothing piece always) which has stars and text which reads ‘forever’ and chains all over it *wacky in literal sense*. But apart from the coat, the most interesting part which we spotted was that the filmmaker went GREY with regards to his hair. Also a closer look will tell you he has also sported studs. 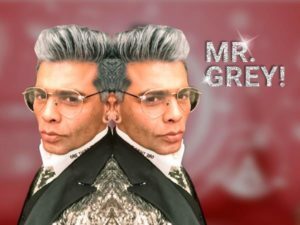 The post Karan Johar goes all GREY as he walks at LFW 2018 for Falguni and Shane Peacock appeared first on Bollywood Bubble.